Business expenses are costs associated with running a business, and they quickly add up. Business owners should be aware of business expense categories to maximize profits by deducting expenses where possible, without having to take online accounting courses. They must be unavoidable and standard costs of operating the business in order to deduct them. Here are the most common business expense categories to deduct on taxes. There are a variety of expenses when operating a business in a physical building. The most common are rent for office space, storage and any retail spaces you own. These are a necessary component of running a business and therefore, are deductible. Maintenance and repairs that improve the property are also deductible. For many business owners, this expense category can be very helpful or burdensome. Another deductible expense for business that many forget about are utilities. Utilities like electricity, phone and internet services, water and heat belong in the deductible business expense categories. If you operate out of a home-office, a percentage of your utilities are tax deductible, as well. This, of course, only includes the amount that is used solely for business purposes. At year end, remember that utilities may also be a deductible business expense you can write off. Vehicles used to travel to meet clients or for deliveries are deductible. 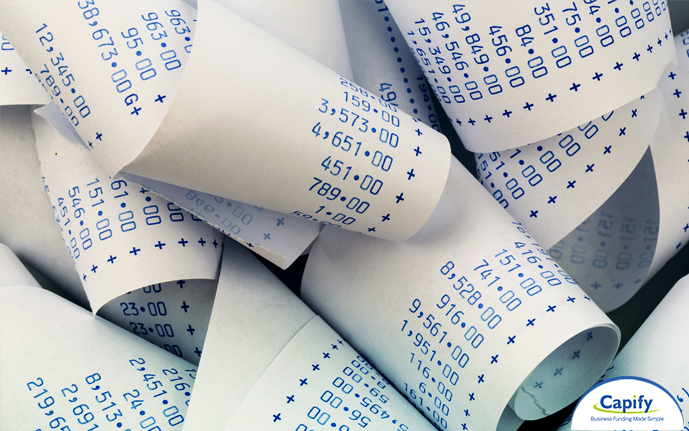 These expenses can be itemized if receipts are collected, including gas and maintenance. There is also the option of taking a mileage deduction at the current rate per mile as established by the IRS. For companies that cover lots of mileage, vehicle expenses can be a significant tax deduction. Advertising expenses are entirely deductible. You will find them on line 8 on your 1040 form. Deductible advertising expenses include and marketing materials, branded promotional items, trade shows and conferences and similar. However, you cannot deduct things like gifts that are not branded with your company logo in this deduction category. You also cannot deduct any type of parties. If your business uses non-branded promotional items as gifts, there is another category for that. You generally cannot deduct the cost of purchasing a building or vehicle if it is expected to be used in the business for more than a year. However, you can deduct the value it depreciates over the time it is used for the business, just like you can for pre owned cars. Depreciation expenses are great for companies with large assets in the form of property, equipment, vehicles or others. Salaries paid to employees are a necessary business expense that can be deducted. Benefits such as healthcare programs and fringe benefits are also deductible. However, you have to be careful to meet the 1099 deadline and W-2 requirements. For service based businesses, labor costs are one of the larger expenses that get written off on the tax forms. Businesses require several types of insurance, all of which are deductible. Property insurance against theft, liability insurance and credit insurance are just a few business insurance expenses that may be deducted. Certainly, you should have your accountant using insurance expenses as a category to find additional deductions. Interest incurred on debts owed by the business may be deducted as a business expense. These interest expenses can include credit card interest charges, credit line interest or reduced debt consolidation payments. Of course, the interest and fees associated with theses funding sources are eligible for tax deductions. Next, basic services required by the business such as accountant fees and tax preparation fees can be deducted as business expenses. These are a legitimate business expense category. So, stop losing money forgetting to claim these deductions. Depending on the size of your business, these fees can have a huge impact on your net taxable income. Surely, legal and professional fees are another important business expense. Bad debt can accrue if customers do not pay off credit you extended to them. If you cannot collect on a debt, you may be able to write it off as a business expense. Although most business owners would rather collect all of their receivables, sometimes it does not work out. These losses can be accounted for in the bad debt expense category. Federal, state, local and foreign taxes must be paid by a business. Even the best bookkeeping business cannot get out of paying these. Therefore, they should be a deductible expense category. Property, school and sales tax paid for the business may also be deducted. Be sure to include taxes paid as a source of business expense. Travel is often a necessary business expense when using a business credit card and can be deducted if certain parameters are met. For example, commuting to work is generally not a deductible business expense, but traveling directly to a client may be. Meals are generally deductible up to 50%, as are entertainment expenses. Entertainment can be for the sake of clients or employees. This business category can have lot of expenses but documentation should be carefully kept. There are many costs associated with operating a business. Business owners are responsible for keeping track of business expenses if they wish to deduct them. Expenses must be a necessary and normal part of running the business. This post is designed to give business owners an idea of business expense categories to simplify tracking these expenses. Remember these categories when starting a business or filing business taxes.